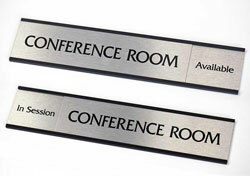 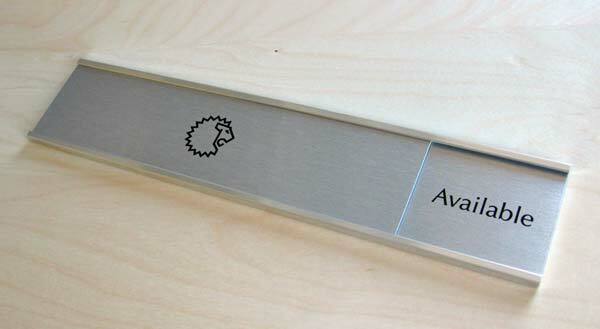 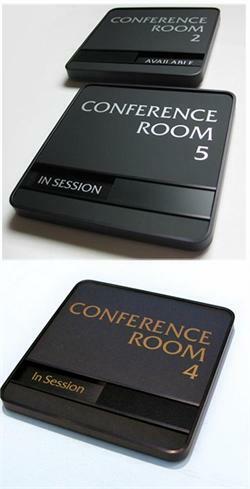 Display the room status of any office, conference room or employee with our 10" or 8" slider sign (2" high). 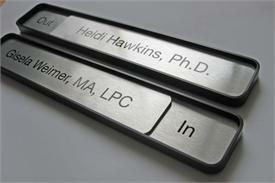 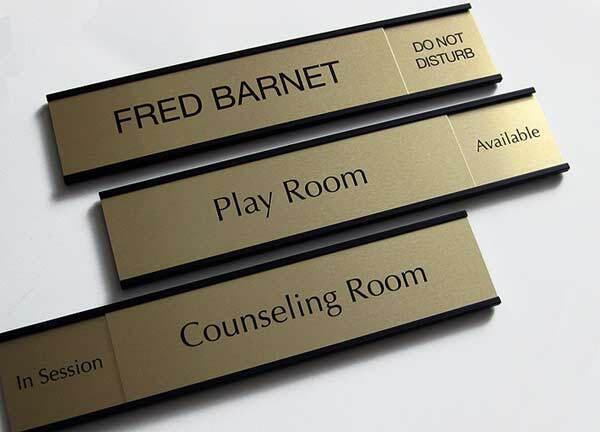 Rich polished silver frame with customizable top and back nameplates at no extra charge. 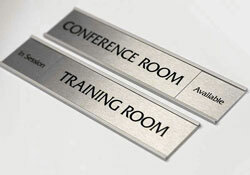 These polished silver slider signs feature an open frame design. 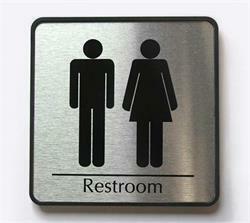 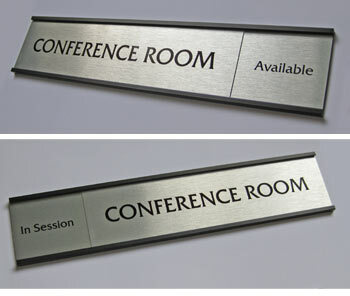 Suitable for board rooms, cubicles and offices seeking a crisp, clean and contemporary office sign. 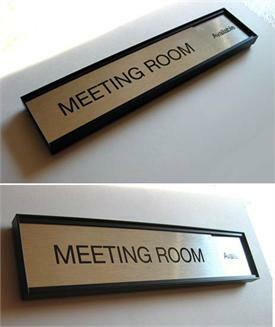 Polished silver sign frame has a slightly glossier look than the satin silver frames.